What Skilljar Triggers and Actions are Supported? New Course Enrollment - Triggers when a user enrolls in one of your courses. New Domain Enrollment - Triggers when a user signs up on one of your training sites. Course Completion - Triggers when a student completes a course. 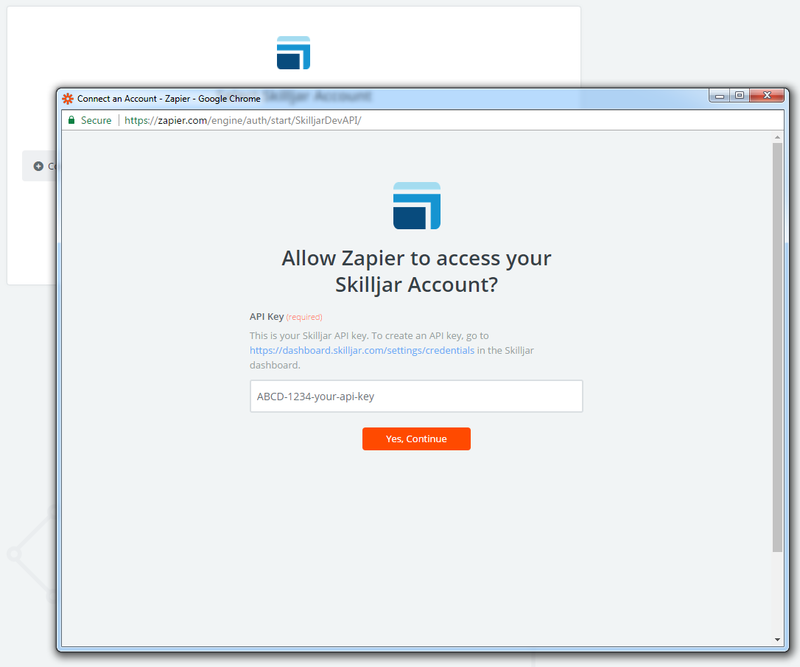 To get started, you'll need to sign in to your Zapier account. 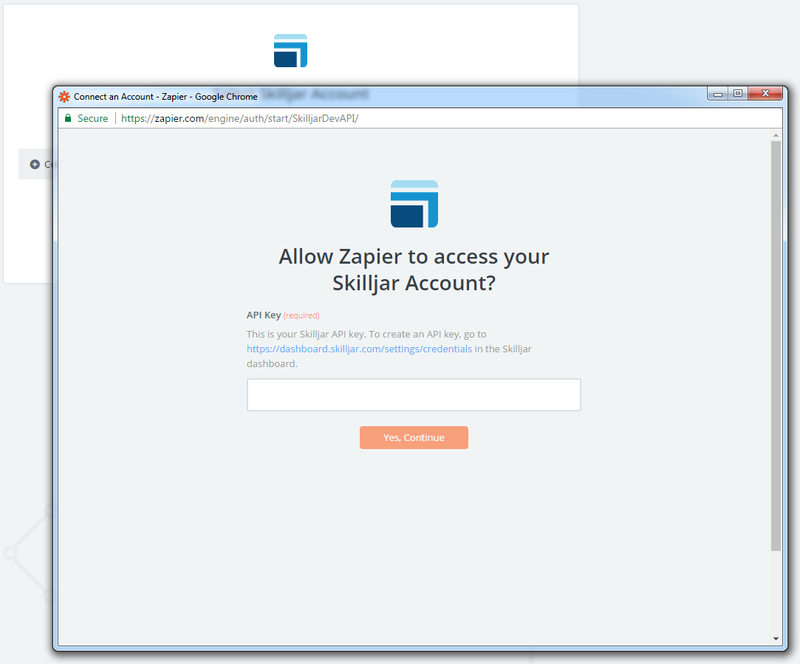 Once you've started creating a Zap, your first step will be to select a platform for the Zap's Trigger and Action. A light box will open with a field for you to enter your API key. 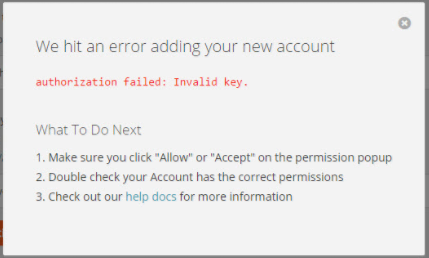 Like in the image above, you should see a link to your Skilljar API credentials. Click the link.